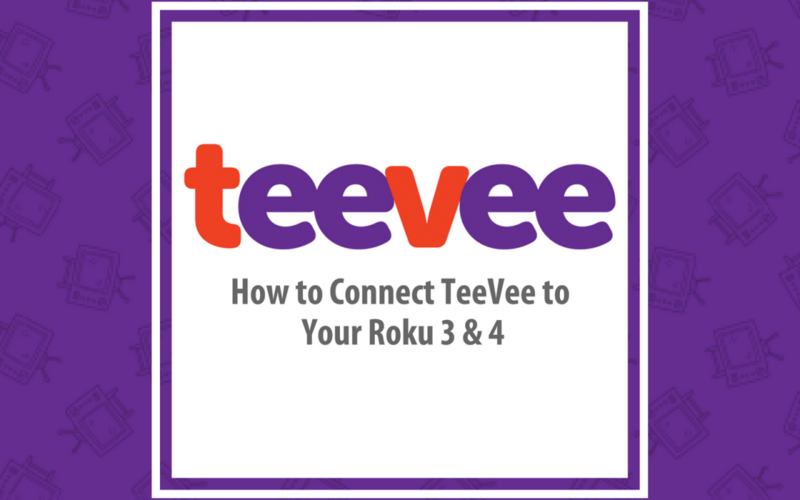 How to Connect TeeVee to Your Roku 3 & 4 - 5LINX Enterprises, Inc. Setting up your Roku device is the best way to watch TeeVee. Below are the steps you’ll need to take in order to connect your device to your television. You’ll first want to go to Roku.com and create an account. Follow the on screen instructions to create your new Roku account. Now, you’re ready to set up your Roku. Plug in an HDMI cable to plug into your TV, and the power cable. If you have an ethernet cable, plug that in. If you’ don’t, connect to the wifi. To connect to the Wifi, follow the on-screen instructions to connect. If you don’t see your wifi network, press “Set up a new Wi-Fi connection. Once connected, your Roku will automatically start downloading any updates it needs. The device should restart once it’s finished updated. Once your Roku is updated, it will then display a code (use the code that appears on your screen). Follow the instructions and enter the code at Roku.com/link to link your device to your Roku account. Once completed, you’re now ready to install TeeVee. Since TeeVee is considered a private channel, you’ll have to install it separately. To do this, go to roku.com and click the welcome link, then My account located on the left side. After this, click add a channel. In the box that appears, type in: TeeVee. Once you’ve done that, click “Yes, add channel.” The TeeVee channel should appear in the next 24 hours. If you want to access it immediately, go to settings, system update and update your system. In some cases, you may need to restart your Roku for TeeVee to appear. When you launch the TeeVee App, you’ll be asked to sign in using your TeeVee credentials. (If you don’t remember your name and password, this can be located on TeeVee.tv under the “My Account” tab on your TeeVee account page). When naming your device, we recommend naming it after what room it’s in (i.e. bedroom, living room, ect.) or “My Roku” as the name is unique to that device. Once your device is registered, go back to the home screen and log back in. Enjoy TeeVee wherever you have a TV with HDMI ports and high-speed internet!